Heavy Duty yet flexible Hose is required for Material Handling Purpose. Fly Ash Hose is found suitable in cement plants for suction & discharge of ash, dry cement, lime, sand, mud particles. This therefore replaces Iron pipes which were earlier use for transfer of abrasive materials, where the inherit flexible hose is required. 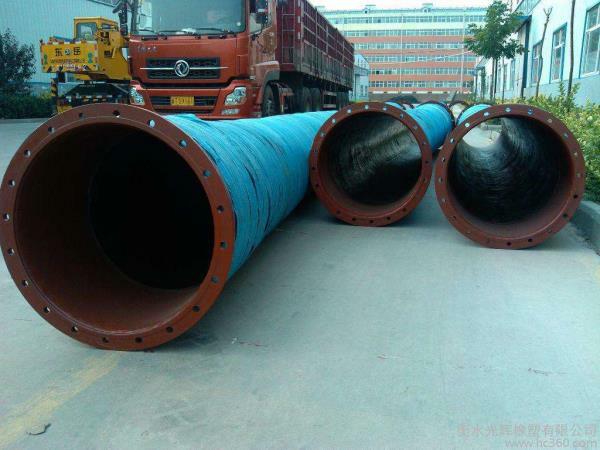 CONSTRUCTION •	TUBE : Black synthetic EPDM rubber, abrasion & heat resistant for ash particles of high kinetic energy. •	REINFORCEMENT : Multiple nylon Fabric ply along with helical galvanised steel wire. •	COVER : EPDM Rubber Compound with wrapped impression. •	TEMPERATURE : -40°F to 180°F . •	COUPLINGS/FLANGE : Customized end fittings are available on request. •	STANDARD LENGTH : Available in up to 15meter length.